Moringa Oleifera is a small tree from India,Pakistan ,Nepal and some part of Africa,It has been in existence and in use for generations in some part of Eastern Asia countries for treatment and prevention of diseases such as Heart disease,Diabietes, Arnamia,Liver disease,Fever, Skin treatment and digestive disorder. Moringa leaves is also refer to as Miracle Tree not just for fun but because of its numerous ways it can treat and prevent diseases, some culture around the globe called it Tree of Life. Drumstick tree, Horseradish tree,Clarifier tree etc, here in Nigeria it was called Monoye by Igbos, Hausa called it Zogelle and in Yoruba land it is called Ewe Igbale. 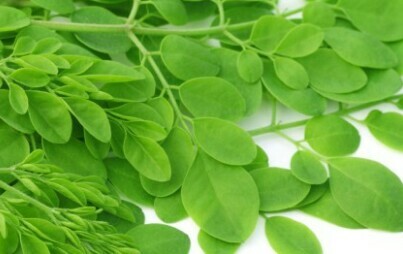 Moringa leaves is regarded has having the HIGHEST PROTEIN RATIO than any plant so far. some of the most commonly used parts of Moringa are leaves and seeds. Its seeds and roots are used to extract oil called Ben oil and the flowers can be cooked and eaten. Below i have gathered some scientifically proved benefits of Moringa leaves. In a recent research it was discover that the leaves of Moringa contain more Multi vitamin providing seven times of vitamin C you can get in oranges also have four times of calcium that you can get in Milk, four times of Vitamin A that is presence in carrots,also three times of Pottasium you can get in Bananas and two times of the Protein you can get in you can get in Yogurt. Moringa give a strong support to our brain health and cognitive function because of high presence of Antioxidant and Neuro-enhancer activities.Its large presence of Vitamin E and C can control degeneration and also improve brain function. It can also control Neurotransmiter Serotomin,Dopamine and Noradrenaline in the brain, which control our Memory,Mood,Organ function and our response to stimulus in area of Stress,Pleasure and also our Mental health. High prsence of Iron and Amino acid along with Anti-Inflammatory,Antiseptic properties in Moringa leaves can help quick healing of minor injuries,cuts,bruises or burns. Did you know that nutritional deficiencies or health problems can damage our hair or cause problems such as Dandruff,Split ends or breakage.so by taking Moringa supplement it will help in preventing or treatment due to high contents of Vitamin A that it contain. 5. It can also help in hair growth. I know this is the next question that will come into your mind don't worry yourself. Food scienties has not discover any side effect yet, so it can be safely consumed by children and adults.it can also be mixed with our daily food such as porridge,pasta,breads etc in other to increase the nutrient content of our meals. Just like any other vegetable choose fresh leaves because they are more nutritious, remove the stems from the leaves and cooked. You can also add them to your soups or any traditonal delicasy in your area. It is as simple as that. You can also get the powder leaves and use it like seasoning to your foods and beverages. You can turn Moringa leaves into powder by drieing and grinding in any type of blender you can lay your hands on.